Data capture from invoices, bills, medical forms, etc. We've developed products that can't be found elsewhere to help you organize, convert, categorize, and file documents of all types where they belong in a manner that promotes collaboration and productivity. This will provide better systems integration and lifecycle management to ensure your organization is compliant with government, industry, and internal standards. ABBYY has the best recognition engines available today and a wide range of product offerings. They are the best values available for your OCR, ICR, and conversion needs. We are a certified VAR with a full range of services to provide to you. We'd be glad to demonstrate how using their software can make your organization more productive. We currently have only one product that could be universally used by all FormReader Enterprise customers, but call us if you have a specific need and we'll create a custom application for you. Examples include custom export modules where you can feed data from your documents into your database while you automatically archive your documents. We can also build templates and forms for your FlexiCapture applications. DocuShare is the best value in document and collaborative content management today and DocuShare CPX adds strong process controls to that base. You'll find a link here to the latest release of DocuShare to browse as a guest and to software that you can download as a 30 day trial. If your firm uses Xerox DocuShare, you've just hit the jackpot! We have products to help you gain more value from DocuShare today and for the long term. If you don't see what you're looking for, chances are we've implemented a custom solution for another similar to your needs that isn't offered as a product, so please call and tell us what you'd like to accomplish. Volume discounts available - Call 972-492-4428 for pricing. We carry a comprehensive list of scanners that cover the range from desktop to high-end production from an array of vendors. If you're unsure of your needs, call to discuss your scanning requirements and we'll guide you in the selection of the best scanner for you and your organization and provide a competitive price to you. Panini is the industry leader focused solely on local and remote deposit capture. We offer their full line of products for making your deposits quicker and easier without all the expense of running to the bank and providing you with a check image to file. We carry a variety of digital signature pads used by many software vendors for their solutions for every vertical market. 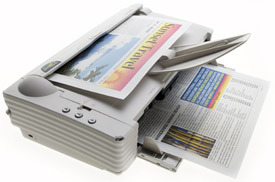 These models include clipboards, desktop, backlit, corded, and cordless models. Browse our catalog and see if there's one that meets your needs. Fellowes offers a complete line of shredders from personal to production volumes with options for strip and microfine shredding. 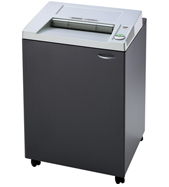 We carry an array of medium to high volume crosscut shredders that you won't find in your office supply store. If you don't see the model you want, contact us for guidance. If you would like a quote that you can view online and then purchase through our site, please contact us and let us know. Write to us at sales@criteriafirst.com or call us at 972-492-4428. Looking for something else? Please call 972-492-4428.